A woman mistook a dynamite for a candle and lit it -- and was severely injured. Ken Buffa reports. A 30-year-old Connecticut woman severely injured her hand and her face when she lit a quarter stick of dynamite that she mistook for a candle after thunderstorms knocked out power Thursday night. Police said the woman was injured around 9:20 p.m. at the family’s Lindley Street home in Bridgeport and her husband and two children were home when the horrific accident happened. Police have investigated and said the family had intended to buy emergency lighting from Home Depot, but the store was closed, according to police. Then, they remembered seeing something in the basement that they thought were candles. The family bought the home two years ago and the previous residents or owners had left them behind, according to police. When the mother tried to light one of the devices, she suffered extreme injuries to one of her hands and might have lost several fingers, police said. She also suffered serious facial injuries. She was taken to Bridgeport Hospital, then transferred to Yale-New Haven Hospital, where she is being treated. No one else in the home was injured. State police, the state fire marshal, the state police bomb squad, Bridgeport police officers and firefighters and the staff from the city fire marshal’s office responded and evacuated houses on either side of the victim’s house as a precaution. Investigators searched the property and found another device in the home, according to police. The Bridgeport fire department and the Connecticut State police removed it and later detonated and disposed of it. 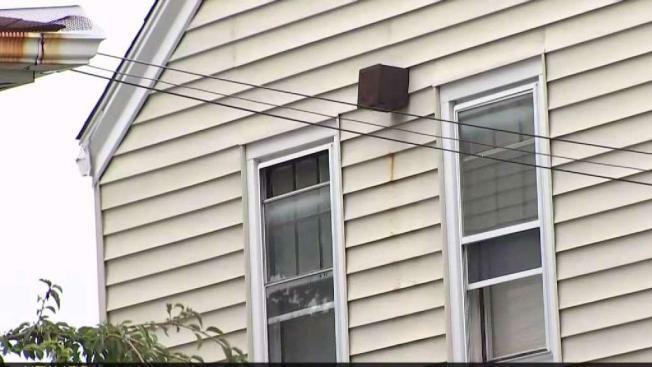 While it is against the law to buy dynamite or fireworks or firecrackers in Connecticut, Bridgeport police will not be pressing any charges because it appears that the residents did not know there were explosive devices in their home.